A pile of bricks and yellow caution tape outside Vintage and More on the Blvd. 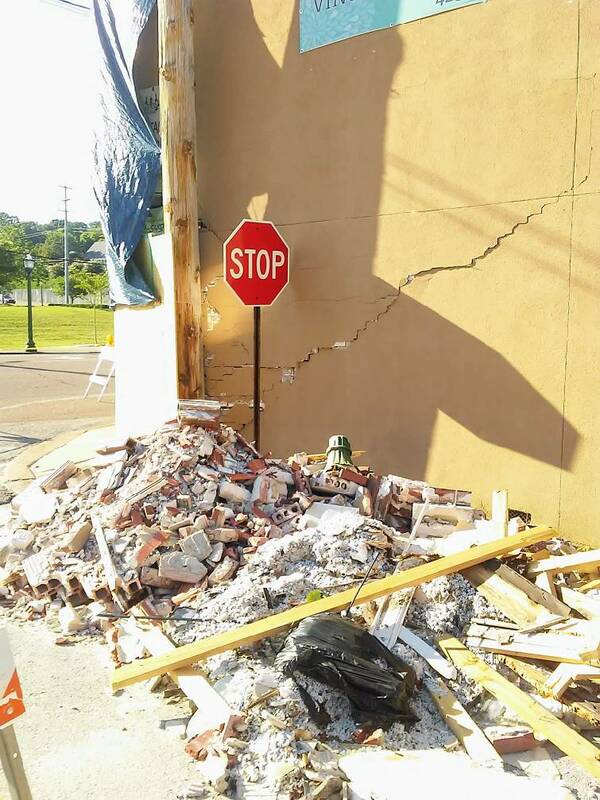 Tuesday is a reminder of the June 8 accident when a sport-utility vehicle crashed through the exterior brick wall. A pile of bricks outside Vintage and More on the Blvd. on Tuesday is a reminder of the June 8 accident when a sport-utility vehicle crashed through the exterior brick wall. The sisters, who lease their space, don't have loss of business insurance, she said. The good news, she said, is that work was supposed to begin Wednesday to shore up the inside of the building. "We will definitely be open by the first of August," Baldridge said. The reopening could be earlier. 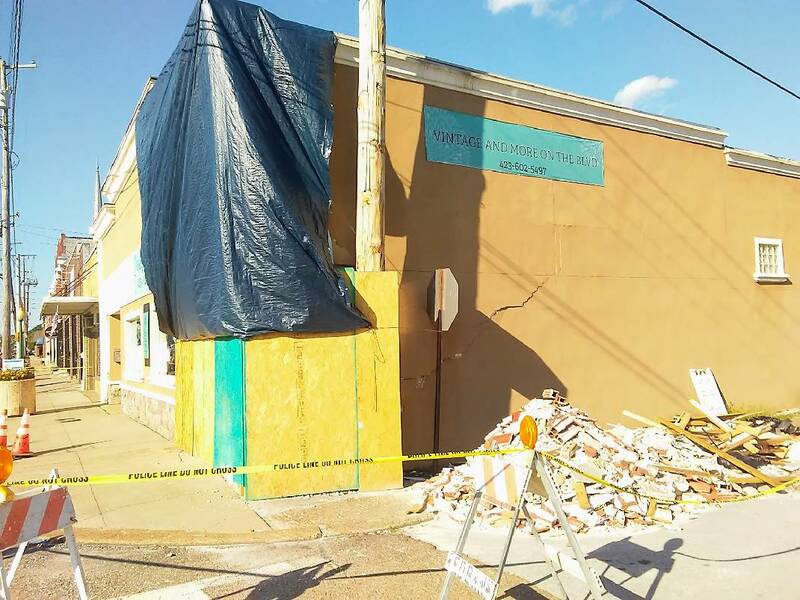 "[The building owner has] already picked up permits to fix the building," Red Bank Mayor John Roberts said, "It can be fixed." Baldridge and Roe bought the business, which has been there for about four years, last August. Vintage and More on the Blvd. has about two dozen vendors inside who pay between $60 and $180 a month to rent booths. "We could use another five or six vendors," Baldridge said. The sisters grew up in Red Bank and attended Red Bank Junior High, but then their family moved away when they were teens. "It's my hometown," said Baldridge, who moved back three years ago. The sisters are bullish on Red Bank, which they say is attracting young families that are getting priced out of such places as North Chattanooga. "It's a good starter community," Baldridge said. "It's a good bedroom community. It's right on the horizon of becoming one of the 'in' places to live." The sisters hoped to attract people who used to shop at Knitting Mill Antiques in North Chattanooga, which closed about a year ago so the building could be repurposed as a restaurant, retail and office space. Vintage and More was drawing new customers before the accident, Baldridge said. She even sees a silver lining in the accident, which didn't hurt anyone inside the store and left the teenage driver with apparently minor injuries for which he was treated and released at Erlanger. "We are putting a positive spin on it," Baldridge said. "We were looking for ways to get our name out there, and I guess God provided it."